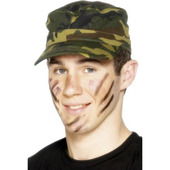 Be part of the military with our Khaki Camo costume. 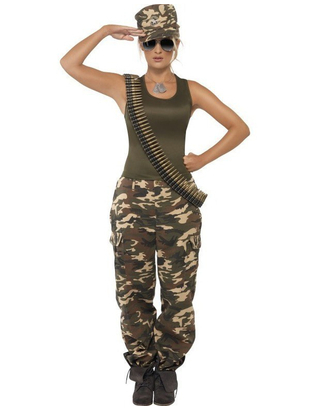 This female Khaki Camo costume includes a light weight vest in khaki green and camouflage trousers. The high quality trousers boast a half elasticated waist for comfortable fit with button and metal fly zip. There are also working side pockets to each leg. The hem of the trousers offer drawstring closing making them easy to tuck into your army footwear. 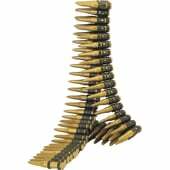 Please note that hat, glasses, dog tags and bullet belt are not included but may be purchased separately.